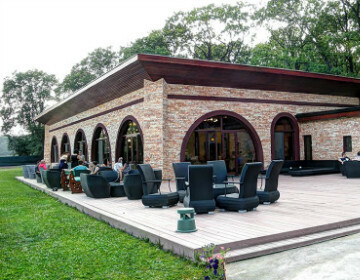 Phoenix Club Cernica is a leisure resort situated at 15 km southeast from the city centre of Bucharest, near Cernica lake. It is situated in the proximity of Phoenix Extreme Park, an adventure park, and it is offering various leisure facilities and accommodation by the lake. Enjoy the terraces, the outdoor swimming pool and the restaurant! Bucharest Tips team has reviewd Phoenix Club Cernica - International in Bucharest. You can get here description, reviews, address, map, phone, website of Phoenix Club Cernica in Bucharest. Visit Buchareset Tips for more International in Bucharest!